To provide opportunities in prayer, service and generous sharing that help our parishioners develop a stewardship lifestyle in which they recognize everything as gift from God and they choose to generously share their blessings with those around them so that Jesus Christ is glorified in and shared with the community. 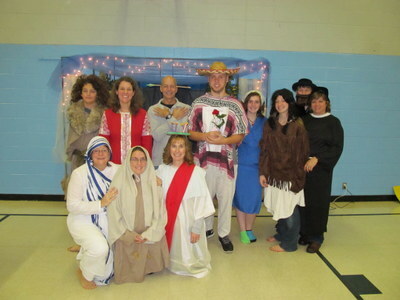 Name that Saint Parish Fun Night!! And thank you to our fabulous sponsors who donated wonderful gifts for door prizes throughout the evening. And thank you to all those who attended. We all had a great time! !